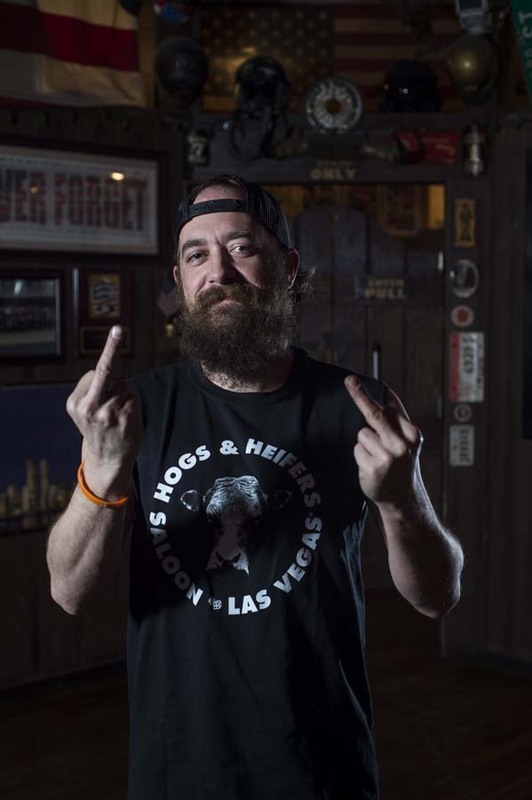 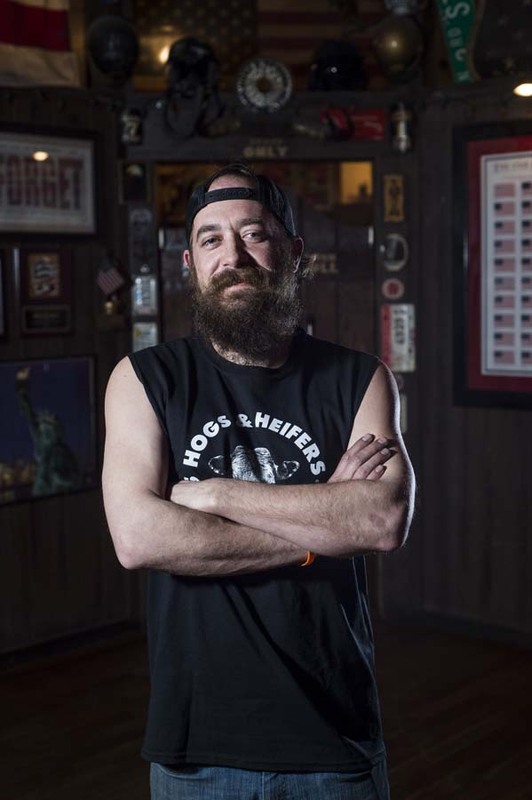 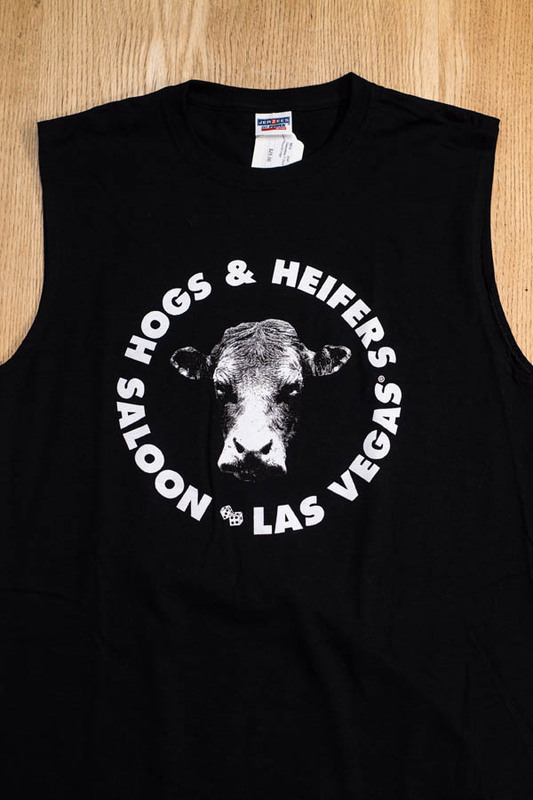 Sleeveless shirts tend to be a popular buy here at Hogs & Heifers Saloon Las Vegas. 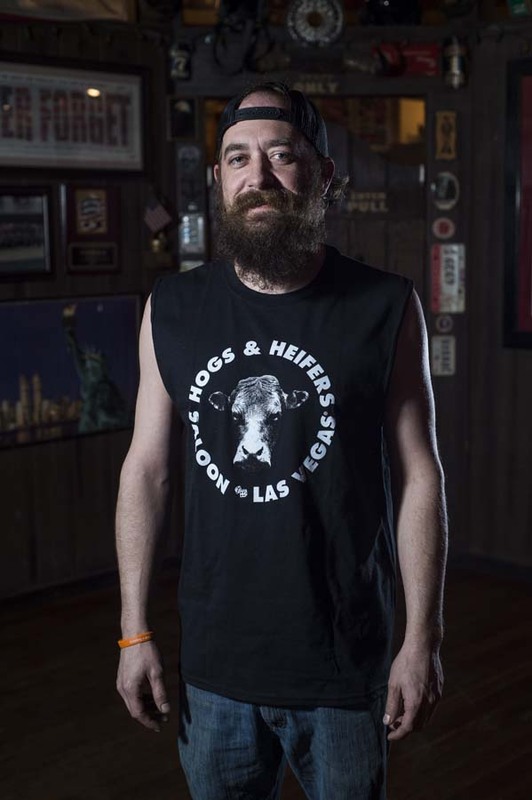 This T-shirt design comes in black, with our Vegas logo printed large on the front. 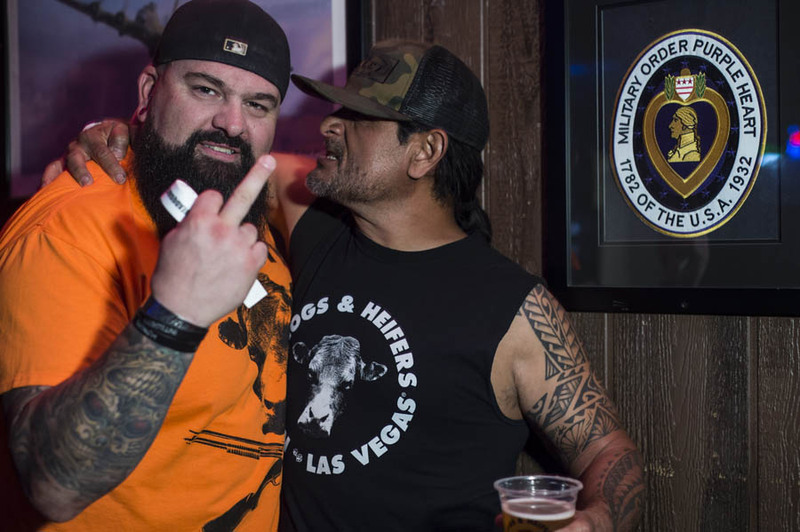 And who the f*ck forgot the sleeves? 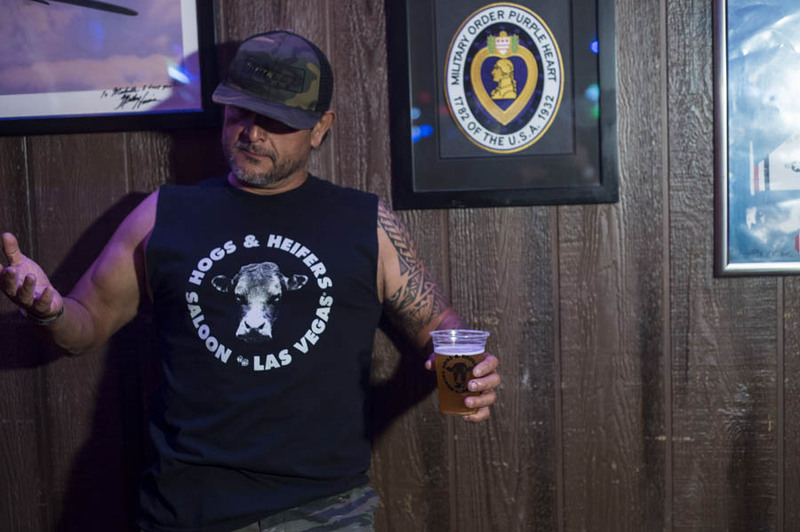 Grab a beer, show off your guns, and be prepared to fend off the ladies. 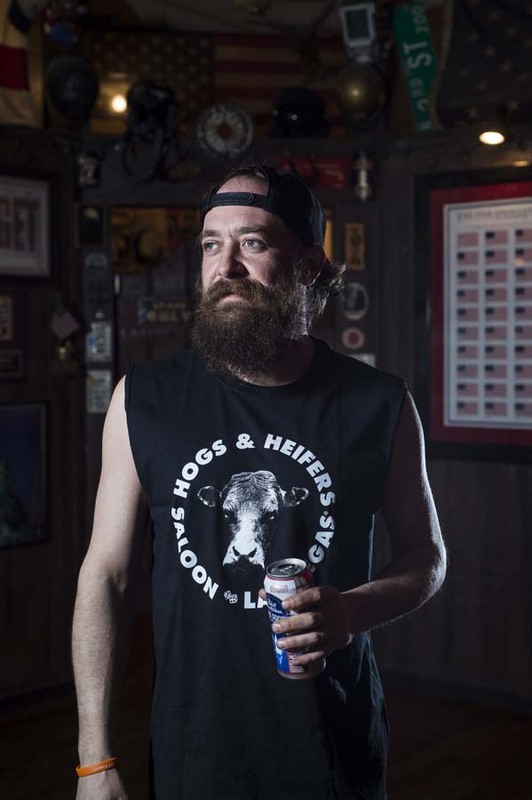 Thanks to long time patrons Creston “Livin’ Dirty” Carrier and Eddie Ca for modeling our merch!